Designed for beginning level dancers ranging from ages 3-18. 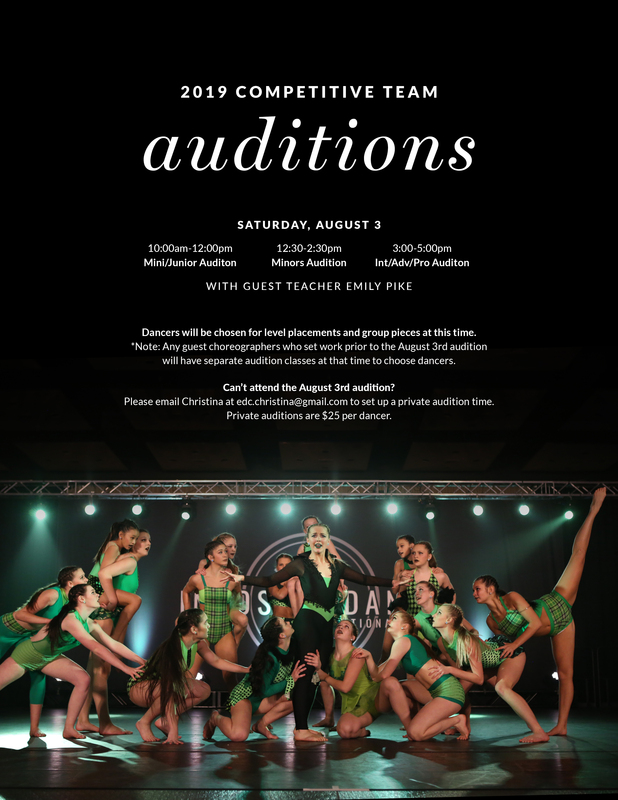 Level 4: Intermediate Dancers ages 12 and up. Invitation Only. These dancers will compete at one recreational local competition at the discretion of the teacher. Tuition for Level 1-4 one hour classes is $60.00 per month. Dancers enrolled in two or more classes at EDC will receive a $10.00 monthly discount for all additional classes. Tuition is due by the 5th of every month for these classes. A tuition late fee of $10.00 will be added for any payment made after the 15th of every month.